Brad and I had a 60+ fish day on Roosevelt. Most of the walleyes that we caught were 15 to 16 inches long, but we did get several 17s, an 18, and a fat 19 incher. The weather was beautiful with a high in the low 70s and light winds. Lake elevation was 1262 feet, and the water temp was 61 degrees. 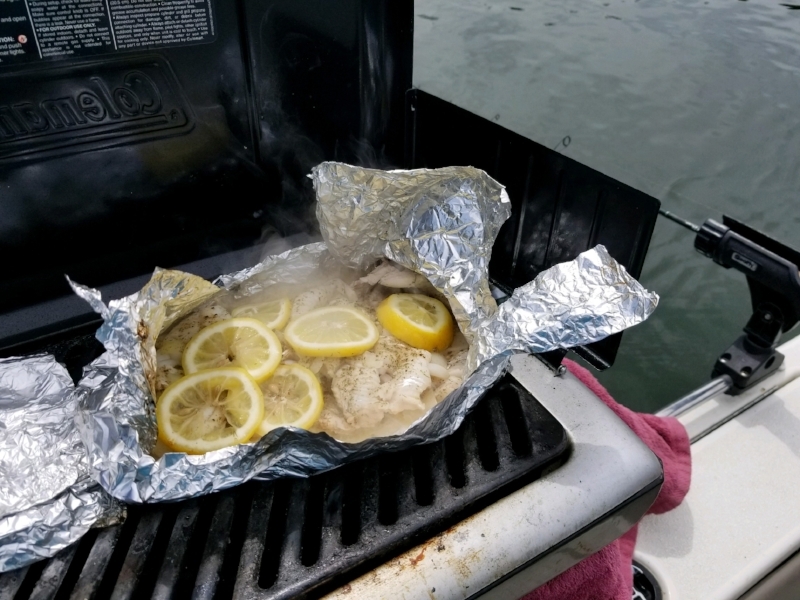 These fish went directly from Brad's hook to the grill. Can you call this a shore lunch when we grilled and ate it on the boat?